The color is just as shown in the stock photo. It is very comfortable ( on the firm side but we prefer that) the sides are perfect for leaning against when lounging, and it was very easy to unwrap and assemble ( just attach the legs). 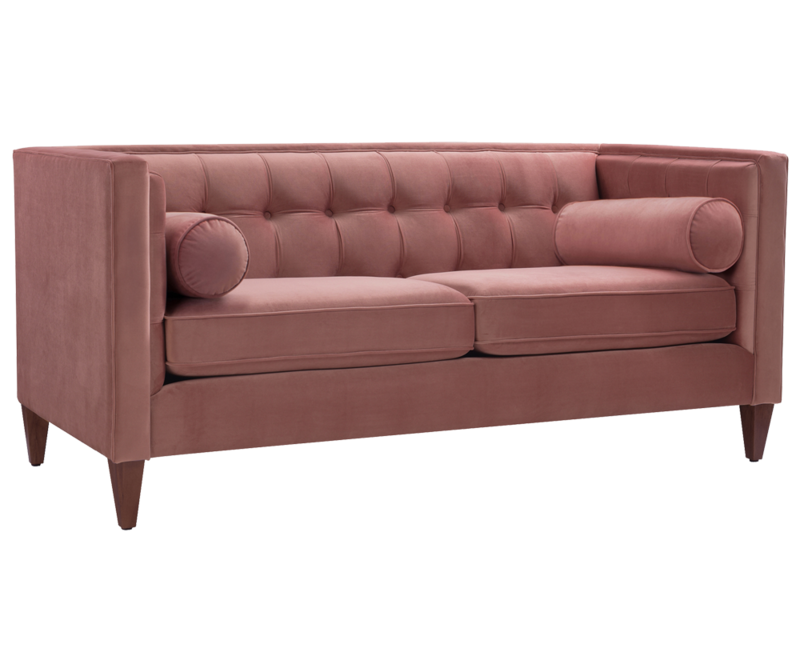 A good end to a long search for an inexpensive rose velvet sofa that my husband doesn't despise. The velvet is so soft and the cushions are so plush. It’s worth every penny! I get so many compliments. Love, Love, Love! Beautiful color and fabric. Screw on the legs & you are ready to go! Love the couch wish the legs were more modern.. This color is stunning in person. 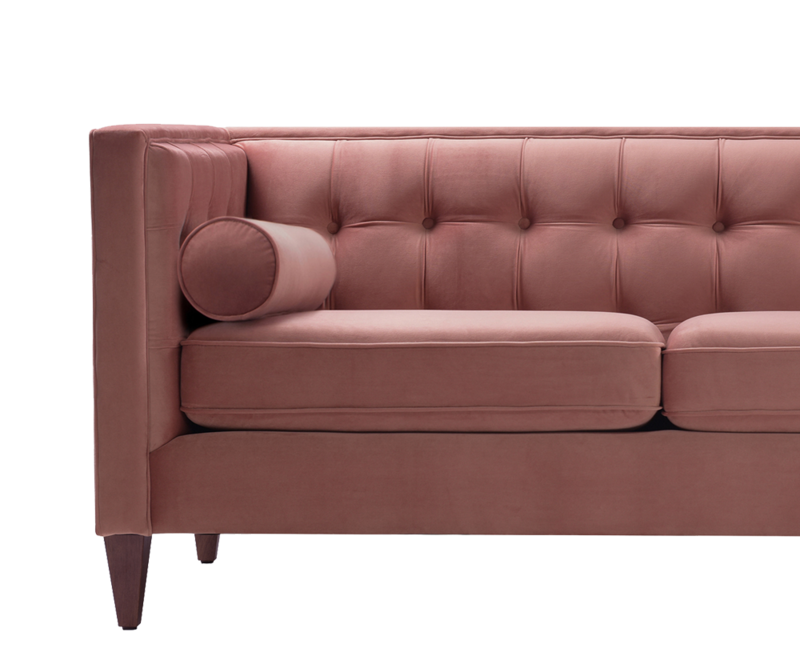 I wanted a pink sofa that wasn't childish or tacky, and that is exactly what this is. Easy assembly, just attach the legs. The cushions do wrinkle a bit after you sit on them, but you can smooth them out easily with your hands. I plan to use this in my living room for now, and possibly move it into my office when I move out of my apartment and into a house. exactly as pictured! Love it! Perfect color!